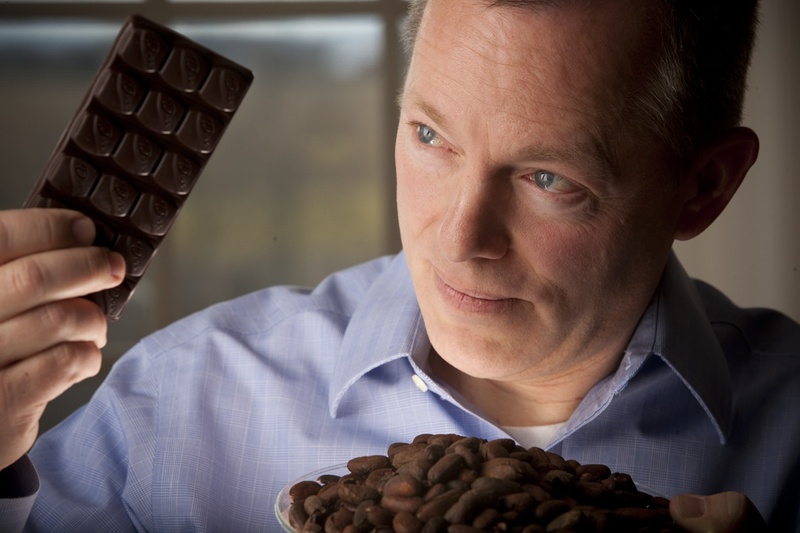 John Kaiser gets surprised looks when he tells people he tastes chocolate for a living. John (M.S. ’87 chemical engineering) is a global director – process technology for cocoa and chocolate in the Global Chocolate Science and Technology Group at Mars Chocolate. “I taste chocolate every day,” he said. He leads global teams – in France, Poland, Indonesia, China, Russia, and beyond – to ensure the quality of Mars Chocolate, helping to establish best practices and refine the company’s process development. Indeed, the factory smells like a big pan of chocolate brownies fresh from the oven. “When I come home, my hair and clothes smell like chocolate,” he said, smiling. Until he went to work for Mars – the company famous for producing some of the world’s most popular candy, including Snickers, M&M’s, and Dove – John says he didn’t really like chocolate. But once he “got a taste for it,” he developed not only a highly refined palate but also an interest in the fascinating history and culture of the product. “I can taste the roasted beans and tell you the country of origin,” he said. John and his wife, Colleen, an Iowa native and graduate of the University of Northern Iowa, have three sons. The two eldest, Justin and Jason, are both 2013 ISU grads; son Joshua is currently enrolled at ISU in industrial engineering and business. Justin’s degree in food science makes him the fourth generation of the Kaiser family to work in the food industry: His great-grandfather was a baker and his grandfather was a food technician at Procter & Gamble.